All this, and with key players making the wrong financial decisions, saw the world’s biggest financial collapse. Meltdown is a four-part investigation that takes a closer look at the people who brought down the financial world. It can be seen on Al Jazeera English from Tuesday, September 20, at the following times GMT: Tuesday: 2000; Wednesday: 1200; Thursday: 0100; Friday: 0600; Saturday: 2000; Sunday: 1200; Monday: 0100; Tuesday: 0600. 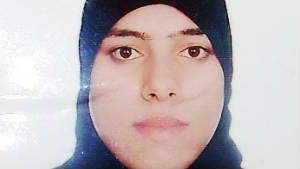 Zainab Alhusni, 19, turned up beheaded and dismembered after Syrian security forces whisked her away. (CNN) — A young woman whisked away by Syrian security forces to coax the surrender of her activist brother turned up beheaded and dismembered, activists and human rights groups say, yet another high-profile display of cruelty in the conflict-wracked nation. Nineteen-year-old Zainab Alhusni stepped away from her Homs residence last month to buy groceries. As reports of the torture sparked outrage across Homs and the rest of the world, amateur video surfaced of dozens of woman protesting the death. “They killed the rose Zainab,” their placards said. 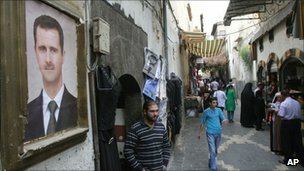 The ferocious Syrian government crackdown against dissenters began in mid-March when anti-government protests unfolded. The number of people killed over the past six months has reached at least 2,700, according to the U.N. human rights office. Some activist groups put the toll at around 3,000. Zainab’s brother Mohammed Alhusni — a prominent opposition activist praised by colleagues for leading anti-government protests and treating the wounded — had been evading authorities for weeks when his sister disappeared, said the Homs Quarters Union, an activist group. “The secret police kidnapped Zainab so they could threaten her brother and pressure him to turn himself in to the authorities. 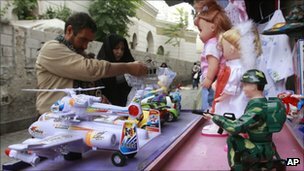 The government often uses this tactic to get to activists,” a union media coordinator told CNN. The Local Coordination Committees of Syria, an activist group, said security forces called Zainab’s family to trade her “freedom for her pro-democracy activist brother’s surrender,” LCC said. Mohammed Alhusni was eventually slain on September 10, when security forces fired on demonstrators in Homs. When the family retrieved Mohammed’s body from a Homs military hospital, medical officials told relatives about another unclaimed body with the label “Zainab Alhusni” that had been kept in a hospital freezer for some time. Days later, Zainab’s family received the woman’s headless and limbless corpse, the Syrian Observatory for Human Rights, Amnesty International and the Homs Quarters Union said. The Homs Quarters Union provided a video to CNN showing the pale trunk of a female body beside a detached head with long black hair among dismembered limbs. Authorities forced Zainab’s mother to sign a document saying both Zainab and Mohammad had been kidnapped and killed by an armed gang, Amnesty International said in an online statement. Syrian authorities could not be reached for comment on the Alhusni case. The Syrian government has maintained that armed gangs with foreign agendas, not the regime, are responsible for the violence that has plagued the Arab country for months. CNN cannot independently verify the authenticity of the video, the claims, or the death toll because the government has repeatedly denied requests for journalists to report inside Syria.